The Business Start-up Journey (BSUJ) helps students to start and develop their own businesses. On April 4 these young entrepreneurs pitched their ideas to a panel of experts in a Dragons’ Den style competition. 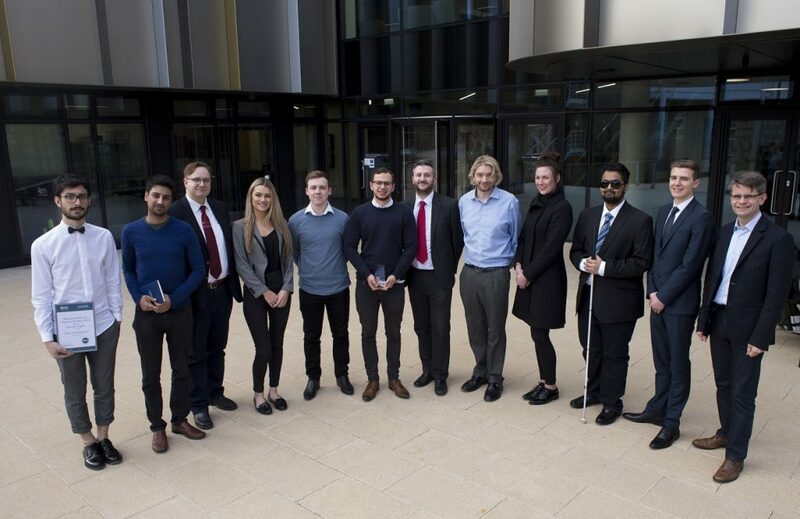 Over three months, students from Kent Business School, the School of Computing and the School of Economics have taken part in the co-curricular programme which delivers key knowledge on starting a business as well as developing entrepreneurial skills. 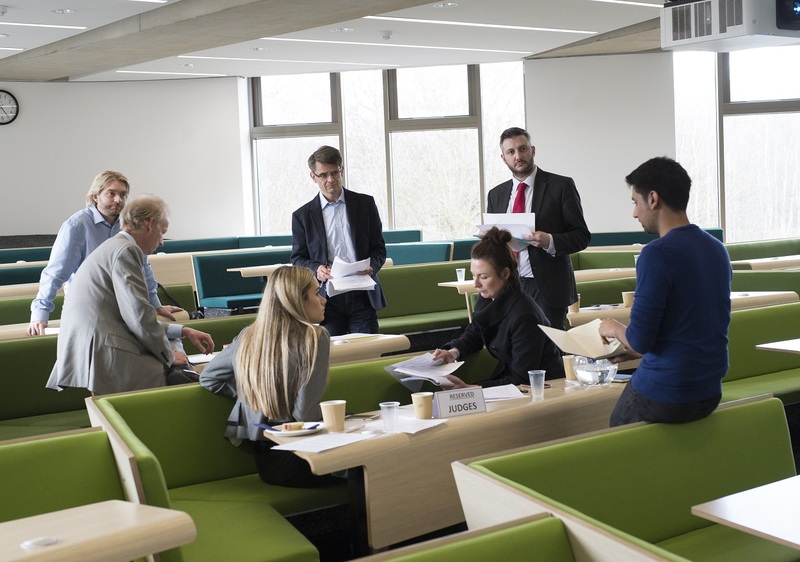 The Business Start-up Journey offers students the chance to participate in practical-based group sessions, led by experts, in fields ranging from market research to e-commerce, finance and law. It also includes one-to-one consultations with the programme’s Entrepreneur in Residence, Adam Smith, and Tech Entrepreneur, Jason Marshall. In addition there are mentoring sessions with experienced entrepreneurs from a wide spectrum of business areas including finance, hospitality, retail and fashion. There has been a huge amount of enthusiasm and hard work put in by those taking part. 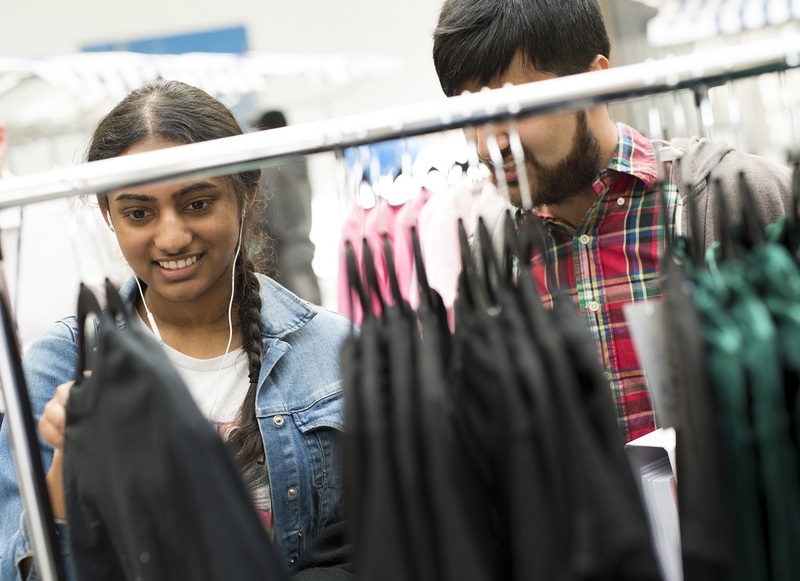 From cakes to skin creams, tech to clothing, this year’s cohort have once again developed their ideas into businesses using the guidance and expertise they have been given. Throughout the journey the participants had the full use of the ASPIRE lab space. The final event of the BSUJ on Wednesday 4 April began with a pop-up high street in the Atrium of the Sibson building, home of Kent Business School. Student businesses filled market stalls with everything from bespoke tailoring to nail care products, street wear to skin cream. There was also a display of innovative business ideas, showcasing the depth of propositions the programme had developed. Friends and family of the finalists were among those who filled the seats of Sibson’s Lecture Theatre Two as well as supporters of the BSUJ drawn from the region’s business community. Eben Kouao, a participant in a previous Business Start-Up Journey, gave a brief presentation on how his experiences on the programme had helped him to found his current e-marketing businesses while still a student at the University. After a brief introduction, the pitching started in earnest with each finalist or group taking the spotlight to explain their business proposition to the panel of judges. As well as delivering their eight-minute pitch, the finalists also fielded challenging questions from the judges. Bal Sandher – Kent graduate and founder of Hectic Lifestyles. The judges commended all the finalists for the high quality of their pitches and diversity of the business ideas presented. The winners of the first prize of £1,000 were Oliver Salisbury and Callum Messiter for Waitr, a mobile app which allows users to order and pay for food in restaurants. Judges praised the well-thought out presentation and viability of Watir which the pair hope to have on the market during the summer after an initial testing phase. Runners-up, each receiving £500 towards business development, were James Grice and Basra Khan with Stay on Route, a travel app aimed at making train journeys more accessible to the visually impaired, and Niccolo Paglia with E-Jobs, a multi-media CV platform and app. The money will be used by the student entrepreneurs to develop their businesses. Past participants in the Business Start-up Journey have been profiled on the Kent Business Matters blog so be sure to check back in due course for a more detailed interview with winners, Oliver Salisbury and Callum Messiter, as well as other finalists. Visit the ASPIRE page on the Kent Business School website for more information on the Business Start-up Journey and how it can help grow your entrepreneurial skills.